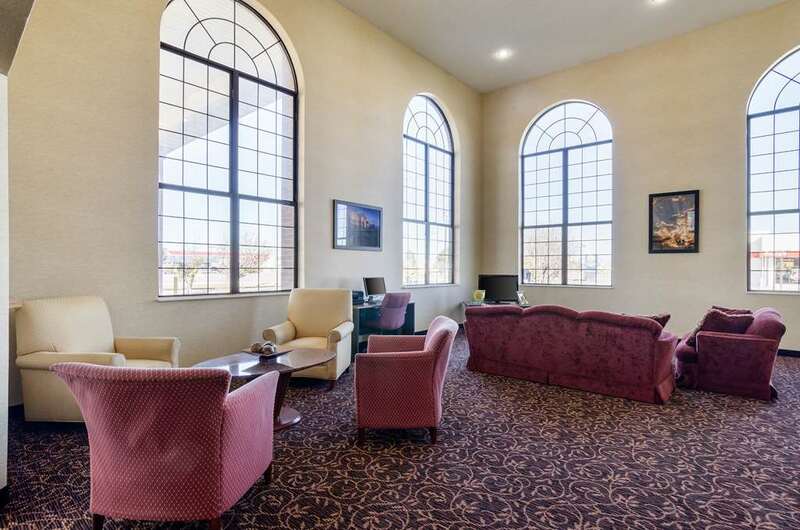 The Comfort Inn hotel in Goodland, KS located off Interstate 70 will get you rested and ready for anything. This pet-friendly hotel is near destinations like High Plains Museum, Carnegie Arts Center, Giant Van Gogh sunflower painting and Flatlander Fall Festival. Enjoy amenities like free hot breakfast, free WiFi, fitness center, laundry facility and indoor pool. Guest rooms feature a flat-screen TV, coffee maker, hair dryer, iron and ironing board. Also, earn rewards including free nights and gift cards with our Choice Privileges Rewards program. Pet accommodation: 15.00 USD per night per pet. Pool area will be closed for renovations from Nov. 1 - Nov. 10th 2014.